“Get out there and share your success stories,” Van suggested to hundreds of the Social Venture Network‘s successful entrepreneurs committed to triple bottom line (people, planet, profit) business, including B Corporations. “Good news is not making headlines. This is by design,” he continues. Click here to purchase Street Smart Sustainability. Co-author Joe Sibilia is a pioneer in the corporate sustainability movement. Sibilia is the founder of Meadowbrook Lane Capital and Gasoline Alley Foundation and current CEO of CSRwire, which was founded in 1999 and acquired by Sibilia and a group of partners in 2005. He and Mager wrote the book as a roadmap for businesses that want to be green, but have felt financially daunted in doing so. Mager should know. He has worked with over 300 Fortune 500 companies helping them make green by being green and was an advisor on the Obama USDA Transition Team in the area of sustainability. Mager also served as Director of Standards at Green Seal and has represented the US in the creation of ISO 14000. As a boy, he organized high school students for the first Earth Day. “This book makes the path to sustainability feel truly achievable.” -Eileen Fisher, Chief Creative Officer, Eileen Fisher, Inc. This much awaited book will be launched at the 2010 Social Venture Network (SVN) Fall Conference. The conference brings together a vibrant community of social entrepreneurs to explore new ways to create a just economy, strengthen our collective impact, and share resources and experiences in leading sustainable enterprises. Tues. – Wed., Oct. 26-27 – Aspen in NYC: Business and Society Annual Forum. The Aspen Institute and its media partner, Bloomberg Television, will explore the criteria used to measure progress–as individuals, business people and a society. Leaders from business, government, academia and the global community will participate in a series of discussions that explore the way we think about and measure success, looking at issues that range from the validity of GDP as an indicator of how well a country is doing to the purpose of the firm and its relation to its stakeholders and to societal challenges such as healthcare, the environment and building a sustainable future. Sibilia will be speaking Wed., Oct. 27. Thurs., Nov. 4 – BSR Conference 2010. This year’s Business for Social Responsibility (BSR) Conference will provide the insights and connections needed for defining the business models essential for future success in the new economy. Sibilia will be attending the BSR party Thurs. evening. Sun., Nov. 7 – Green Festival, San Francisco. This year’s Green Festival theme is ‘Engagement’, which is the topic Joe will be addressing on Nov. 7. Thurs. – Sun., Nov. 18-21 – SRI in the Rockies. Along with Steve Schueth, CEO of First Affirmative Financial Network CEO, Sibilia has conducted a series of 12 speaker interviews for this event. See 2010 Speaker Interview Series. For more information on book signings and appearances by co-authors David Mager and Joe Sibilia, please contact Natalie Thomas at 802-251-0110 ext. 1108 or Natalie@csrwire.com. Editor’s Note: View Joe Sibilia’s Talkback post on Street Smart Sustainability here. At the forefront of this movement was, and still is, Joe Sibilia, founder of Meadowbrook Lane Capital and Gasoline Alley Foundation and current CEO of CSRwire, which was founded in 1999 and acquired by Sibilia and a group of partners in 2005. 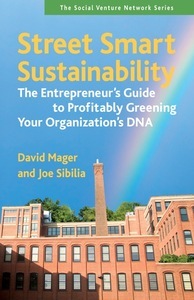 Today Sibilia remains at the helm of the movement and has become a source of inspiration and intelligence for CEOs, academics and economists through his engaging speaking appearances, writings for CSRwire Talkback, and now his new book co-authored with Dave Mager, Street Smart Sustainability: The Entrepreneur’s Guide to Profitably Greening Your Organization’s DNA. Where can one find Joe Sibilia next? Wed., Oct. 20 – International Business Breakfast Series of Western New England College (WNEC), “Global Sustainability initiatives: Should firms report about their non-financial activities?” The International Business Breakfast Series is an initiative in the School of Business that integrates programs designed for students with the needs of the business community. Each session includes one or more successful business leaders whose experiences with the challenges and opportunities of global business afford students and business professionals with opportunities for practical insights and discussion. The goal of the Series is to educate the student population while providing an insightful forum for members of the local business community about a range of international issues. The Series is open to students, alumni, the College community, and the general public. Wed. – Thurs., Oct. 20-21 – B Corporation Champions Retreat. B Corporations are organizations using the power of business to solve social and environmental problems. B Corporations are unlike traditional responsible businesses because they meet comprehensive and transparent social and environmental performance standards, institutionalize stakeholder interests and build collective voice through the power of a unifying brand. Thurs. – Sun., Oct. 21-24 – 2010 Social Venture Network (SVN) Fall Conference “Building the Bridge from Passion to Action”, where Joe Sibilia and David Mager, President of Major Environmental Services, will launch their new book. The conference will bring together a vibrant community of social entrepreneurs to explore new ways to create a just economy, strengthen our collective impact, and share resources and experiences in leading sustainable enterprises. For more information on speaking engagements and appearances by Joe Sibilia, please contact Natalie Thomas at 802-251-0110 ext. 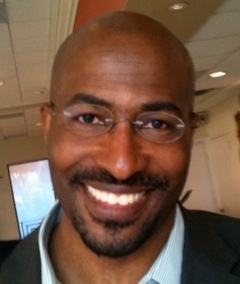 1108 or Natalie@csrwire.com. NEW YORK, Oct. 13 /CSRwire/ – This season, religion is playing an important role in the discussions around issues like pollution, water depletion, resource hoarding, and emission-driven atmospheric and oceanic changes. Recently there have been a record number of gatherings and publications putting the moral dimension of climate change and other environmental hazards on the table for dialogue, including the Northeast Environmental Studies Group (NEES) conference this past weekend. The NEES conference is a yearly gathering of professors from dozens of colleges and universities in the Northeast. This year’s keynote session was moderated by Scott Brophy, Professor and Chair of the Philosophy Department at Hobart and William Smith Colleges, and supported by a grant from the Betsy and Jesse Fink Foundation. Brophy is also member of interdisciplinary programs in Environmental Studies, Public Policy, and Law and Society and the Climate Literacy Network. “I was struck by the depth at which participants delved into the topic of morality, a topic often not addressed in the world of environmental science. It is dangerous to think that with enough scientific data, another IPCC report or a cataclysmic event, that a monumental cultural change will occur. I may be wrong, but it seems unlikely,” says Dr. Brophy. So what is the magic bullet that will create the shift needed to leave a healthy world to future generations? Many are relying on the growth of a new ethical dimension, an inescapable part of the debate. So, what sort of people are we? The Temple of Understanding (TOU), which has led the way in interfaith education and advocacy since 1960, will explore this at the upcoming 50th Anniversary Awards Gala on October 19th in New York City. The organization was founded by visionary, Juliet Hollister, with the support of a distinguished group of “Founding Friends,” which included Eleanor Roosevelt, Ecumenical Patriarch Athenagoras, Dr. Sarvepalli Radhakrishnan, Sir Zafrula Khan, H.H. Pope John XXIII, Anwar al-Sadat and H.H. the XIVth Dalai Lama, among others. The TOU also recently organized “Art, Spirituality & the Transformation of Consciousness in the Ecological Age: To Promote a Moral Force for Environmental Action.” Featured panelists were Irene Hardwicke Olivieri, Artist and Naturalist; Robert Bell, Chairman Department of Economics Brooklyn College and Author of The Green Bubble; Dr. Kurt Johnson, Ecologist and Professor of Comparative Religion; Rabbi Lawerence Troster, GreenFaith. A growing movement is recognizing that the industrial age has led us to the brink of disaster. Perhaps it is the artists, authors and spiritual teachers who will inspire us to step up our responsibilities as citizens of the Earth. Sister Joan Kirby, UN Representative of the TOU spoke about how, together, Homo sapiens have the ability to create a new geologic period following the Paleozoic Era (543 to 248 million years ago) and the Cenozoic Era (65.5 million years ago to the present). The Ecozoic Era. This is in sharp contrast to what filmmaker James Cameron coined at the American Renewable Energy Day (AREDAY) conference in August. The Idiocene. This purportedly follows our present sliver of time, the age of man, within the Cenozoic: the Holocene (12,000 years ago to present). “We spend more money on potato chips than we do on clean energy research and development in this country,” says Dr. Arun Majumdar, U.S. Department of Energy, at the Cleantech Forum on October 12. So what’s it going to be? “This a much bigger question than stopping particular sources of pollution or protecting particular natural parks, but goes straight to the heart of how we understand ourselves, and our traditions would have to bend to reflect these new understandings,” says Revkin. Either way, relying on science to inspire humans to build a new relationship with nature seems unlikely. It rustles the feathers of the Christian Right, and sidetracks the topic to scientific methodology, giving us an excuse to sit back and wait for the next Progress Report from research institutions. This next 20 years will separate the men from the boys, as the expression goes. Will we, as men and women of the 21st Century rise to a greater calling that could define us as a truly remarkable species? In a balanced eco-system, flora and fauna reproduce and live in such way that makes the world livable for the survival of their offspring. What about us? Will we enter into the Ecozoic Era or the Idiocene Period? Some say we will get what we deserve. Article written by Martha Shaw. Martha is a frequent writer on clean technology, environment and climate literacy. She is the founder and CEO of Earth Advertising, which promotes products and services that help to protect the planet, through social media, public relations, and 360º communications. Business agreements are reached at World Climate Summit in Cancun during COP16. Over 800 business leaders and luminaries from five continents gathered at the inaugural World Climate Summit at the Ritz Carlton in Cancun’s hotel zone to discuss how business can create low carbon markets, despite lack of regulatory support from governments. Meanwhile, several miles down the beach, UNFCCC COP16 delegates from 190 countries were sequestered at the Moon Palace working to agree on a framework to help stave off climate collapse. Though the hopes for COP16 agreements weren’t high, those of the World Climate Summit business gathering were ‘through the roof.’ And that roof is paved in photovoltaics, lined by rain collectors, sitting atop an energy efficient, non-toxic building not far from a wind turbine, and tied into a local energy grid. The mood was one of camaraderie and team spirit. Consensus among the CEOs was evident in a unanimous commitment to take drastic measures to reduce their carbon footprints, among other environmental efforts. Attendees also agreed that without a regulatory framework and carbon pricing from the delegates down the beach, it was risky business to finance innovation in a world where petrol and coal is heavily subsidized, and hot new clean energy technologies struggle to see the light of day. If clean energy could produce just 15-20% of the watts in the electric grid, it would reach the critical mass necessary to create markets that can compete with a dirty energy economy. Yet, getting investment into that group is a bottleneck without conducive policies. So, where will the leadership come from to lead us out of a crisis wrought with inequalities, in which some countries feel owed something from other countries that got the planet into this mess? As nations face obstacles, consensus is happening at a local level where mayors understand that the private sector has the resources and the entrepreneurial spirit to move the needle. According to talks at the World Climate Summit, the leadership will come from local governments. Working with businesses, cities can show how it’s done. “Cities can do it,” was the rallying cry from this powerful sector, which is more than willing to learn from each other and work together. “Screw it, let’s do it,” was another. It is predicted that 90% of the world population will be concentrated in cities by the end of the century. Already cities around the world have created models for sustainability out of necessity. Water is being captured and reused, landfill off gasses are being converted to power, and food producers are cropping up in local community gardens in unexpected urban sites. Attention turned to the shipping industry responsible for transporting goods and supplies around the globe and, oftentimes, leaving oil slicks in their wake and spewing diesel fumes from their tailpipes. Clean tech shipping operations vowed to clean up their act and institute new computerized rating systems for displaying their environmental footprint. Meanwhile, manufacturers made commitments to source more locally. Participants acknowledged that it is ‘society’ that is bearing the brunt of the world’s dirty fuel economy. Asthma rates in some cities have gone up 500% since 1985. Weather has become extreme. Saltwater is invading coastal buffer zones. Soil is depleted. Already millions of indigenous people have become climate refugees, displaced from their land. The conversation at the World Climate Summit also turned to women, who hold less than 2-5% of high-level decision-making positions in both government and business, though they are the first to suffer the effect of climate change, along with children. Though underrepresented in the world at large, women at the summit were given the microphone a little more in proportion to their numbers than most events. Studies presented showed that without women at the table, the world is cooked. At the top of the economic pecking order, companies with women on boards and in executive positions are more prosperous and civil-minded. In the middle of the spectrum, purchasing decisions are overwhelmingly in the hands of women worldwide though earning power for the same jobs still waiver around 60%. At the ground level, lack of education for women and girls is directly correlated to the population explosion of the poor. Traditional media channels, and new communication technologies that are experiencing exponential growth around the world, were sited at the business summit as an area of opportunity that has yet to be fully tapped in regard to messaging. In a market of sponsored news, the topic turned to how media can foster more public engagement about climate issues. Which media organizations were granted observer and reporting rights at the COP16 itself was of interest to news services, as armed guards screened reporters for credentials at the UNFCCC gateway, called Cancun Messe. It was agreed at the summit that within the coming months, communication task forces, inside the UN and out, would work together to boost climate literacy, engage business, and help the next generation navigate the inevitable challenges ahead. At the conclusion of a successful World Climate Summit, businesses who had made the greatest strides toward carbon reduction, waste prevention and other climate-related achievements were honored. Handshakes on new collaborations and partnerships abounded. Attendees agreed unanimously to race ahead toward a clean economy without the framework hoped for from the governments convening down the beach. It was announced that the 2nd World Climate Summit was already in the works to take place, same time next year, in Durban, South Africa at COP17. For more details about the 2010 World Climate Summit, including the program, speakers, conclusions, announcements, and the coinciding Gigaton Awards, visit http://www.wclimate.com. SPRINGFIELD, Mass., Oct. 07 /CSRwire/ – The world’s most comprehensive and widely-distributed news and information service on corporate social responsibility (CSR) and sustainability has announced the release of its first United Nations Global Compact (UNGC) Communication on Progress. CSRwire’s Communication on Progress (COP) reports on the alignment of its business operations and strategies with the UNGC’s 10 universally-accepted principles in the areas of human rights, labor and workplace, environment and anti-corruption. The COP addresses all requirements of the UNGC’s guidelines, including a commitment from the CEO, and targets for future work. The UNGC is the largest corporate responsibility initiative in the world. Launched in 2000, UNGC is a call to companies to voluntarily take actions in support of UN goals, including the Millennium Development Goals. The Compact is a leadership platform for the development, implementation and disclosure of responsible corporate policies and practices. Endorsed by the world’s chief business executives, UNGC helps to ensure that markets, commerce, technology and finance advance in ways that benefit economies and societies everywhere. Half of the 6,000 UNGC business signatories in over 135 countries are small- to medium-sized enterprises (SME) with fewer than 250 employees. These smaller companies have a low 35% “active” status at UNGC in comparison with a higher active status of 64% for larger companies. CSRwire, which joined UNGC in 2007, is commended for submitting its first COP as an active small business. In support for UNGC, CSRwire is offering special discounts to UNGC business participants with under 250 employees who honor their commitment to an annual COP. For more information about the UNGC discount, please contact Natalie Thomas, CSRwire Director of Business Administration and Development, at (802) 251-0110 ext.1108 or Natalie@csrwire.com.